Buy two plastic chairs, a large poster board and a marker. Then find an area with some shade (and moderate walk through traffic). Since it is free, you don’t charge anything from your “clients”. However, you are open to donations. Once you’ve gathered up some cash, simply buy a few water bottles, or soda, and then hand them out to people who make small/large donations and contributions to the cause. The refreshments would keep you hydrated as well. If you can genuinely solve people’s problems without thinking of the donations or contributions, some good people will donate. Don’t forget that you are providing a free service to make the world a better place. Your concept can even go “viral” and get the attention of the media. You want to start your own business because you have great innovative ideas but you are always stuck at the execution stage. When you think about how to start a small business, you often think about some of the challenges that you will encounter so much that you often over think things and get stuck at the idea stage. You don’t believe in yourself because you belief that others are better than you. You need to keep believing in yourself. Believe that you can achieve great things. #2. You are afraid to fail. Don’t be afraid to fail. Don’t let your fear of failure keep you away from doing the things that will change your life forever. Face your fears. They are nothing but your own imagination. #3. You are afraid of the unknown. Don’t be afraid to leave your comfort zone. Take chances and explore the unknown. Trust me, it’s not as difficult as you think. #4. You lack business knowledge. Okay. I agree with you on this. Learning is continuous. Even if you can’t afford a good business education in a good business school, you can use the internet or learn from the streets. #5. You don’t have the finance. You don’t need to break the bank before you can start your business. Start small and grow big. Stop worrying about finance. Read on, there’s a perfect case study below on how to start a business with other people’s money. #6. You are afraid of competition. Embrace competition. Your goal is not to compete with the big players. It’s not easy to compete with established brands in your industry. Your goal is to be creative in your approach and win over the market segments they are not paying attention to. Just do your thing and thrive in it. Always remember that there is a fish for every hook. And no matter how crowded the sky is, there is a space for every flying objects, both animate and inanimate. 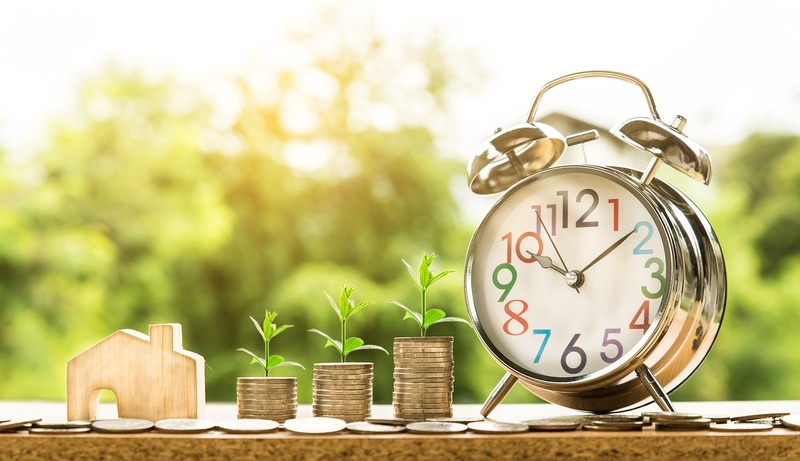 Why you need to start a small business? You have probably heard it several times in business that your why should always be greater than your how. From the story above (assuming that it is you), you wanted to genuinely solve people’s problems by making the world a better place. That is your WHY. #5. Prove a point to your parents and friends. #6. Disrupt or change the status-quo etc. Whatever your reason is, it should be stronger than your how. Let me propose a simple method for you to come up with great business ideas. Please get a pen and a notepad for this part. You will be amazed at what you would come up with. I will be straight to the point. #1. Brainstorm on your ideas. On each of the pages of your notepad, write each of these titles; my passions, my skills, my knowledge and my interests. Brainstorming is not about choosing the good and the bad ideas. Write everything that pops into your head. Write it all down. Do not filter out anything! Then, write down people’s problems and needs that corresponds to each of the things you have listed on each of your pages. Write down all the problems and needs that you can think of. Everything you can think of. Afterwards, link what you have on each of the pages to people’s problems and needs. For instance, on the “my passions” page, map each of your passions to people’s needs and problems on a new sheet of paper. And repeat this for the other pages too. Repeat this exercise for a week every day without copying the previous day. Always start from the scratch. This is very rigorous because it is what I do almost every time I need to generate new ideas. With time you will master this process and would be able to do it without much fuss. You don’t have to rush anything. Take your time. This can be completed anytime. You can set a time target if you need to. Just be consistent. Now is the time to filter raw ideas from your brainstorming stage. At the end of the week (or weeks, depending on you), you will notice a pattern in your notepad. These areas keep showing itself through the whole process. This pattern is your starting point. On a new blank page, start writing down these pattern and everything you know about the business. This time around, you need no structure. Write everything you know about the market, entry barriers, and your needs in terms of resources, tools, strategies etc. You will come back later to make sense of what you have written down. After all these, you will discover that it is either you have the solution to people’s problems or that you have the main ingredients to create a solution. Either way, you are a winner. You just succeeded in generating a set of business ideas for your business. Don’t be afraid to step into an existing market. Be creative, add value to the existing market and bring in your personal touch. Now, you have succeeded in generating great business ideas but you still have doubts. You think that your ideas are not good enough. Stop waiting for the perfect idea and get to work. No idea is perfect. Just start with your boring idea that is in demand. 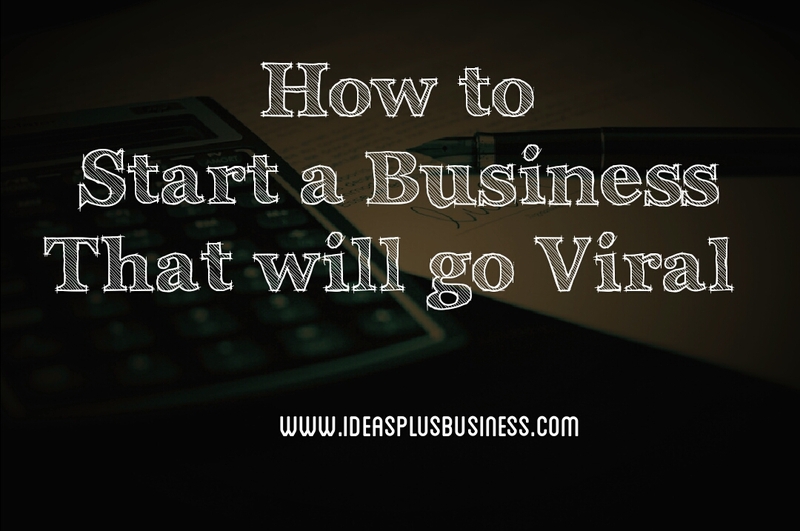 There is a business formula in 5 simple steps that will make your business go viral. You can use this simple steps to find an idea, test its demand and get people to send you their money. You can apply this to any business idea be it an offline or an online based business. Do not forget that it is not about finding the perfect idea for your business to go viral. It is all about solving people’s problems and get paid while doing so. Start small from day 1 and grow slowly and steadily from there. The viral business formula is a lightweight test to determine the demand for your idea without investing a lot of time or money into it. #1. Brainstorm and generate a minimum of 20 ideas (there are no bad ideas). Write down all the business ideas you can come up with. Even if you think you have a bad idea, just write it down. #2. Do some market research to determine the level of demand for ideas. You can use many free tools for this step both offline and online. Just be creative in your approach. You can use Google’s keyword tool online. It is free. #3. If there is no demand for your idea, choose another idea and test again until you find the idea that has a demand. “How can I know if my business idea will be profitable without testing? The answer is that you can’t know. #4. Validate your idea by getting people to pay you. If people are willing to pay you for your idea, then you have successfully validated a good business idea. #5. Deliver your products and reinvest your profit into your business. You can then proceed to create systems to automate your business so that it can work for you. Joachim Niclasen used the viral business formula to get his wine business started. He built a successful e-commerce business almost without any money in his country, Denmark. He built a successful e-commerce business that sells wine without any product, with almost zero capital. The viral business formula will work for you provided you are willing to put in the work. #1. He bought the domain name vinhacker.dk and also a hosting plan with a hosting company. This is the only step where he spent some money. And very little if I might add. You can buy a domain name for as low as $9 per year. And you can buy a hosting plan from as low as $2 per month. That is $24 in a year. The total amount he would have sent on his domain name and hosting plan for a year is $33. Lets say plus some miscellaneous overhead cost, he would have spent less than $50 in total cost for a year. #2. He installed a WordPress CMS on his hosting plan with a free launch theme which has a built-in viral sign up functionality. I want to assume that he has a little technical knowledge in WordPress which he deployed successfully in this case. Since he is trying to minimize his expenses, he went for good free themes that will serve his purpose. #3. He installed a free email subscription plugin on his WordPress theme. This will enable him to collect the emails of his target customers which will help him a great deal in validating his business idea. He used a free Mail Chimp account. #4. He briefly described himself and his concept of business. He crafted a simple copy that is as simple and descriptive as: Pre-arrival orders of wine at cheap and transparent prices on his landing page. A landing page is simply a page on your website that you direct you leads (target customers) to. #5. He started collecting emails. He started with his family and friends by sending them personal emails asking for their support and help. After this, he posted his messages on relevant Facebook communities. #6. He launched a competition as a sales bait” to generate interests. This will greatly improve his chances of making his business go viral. He offered 5 winners a case of wine (30 bottles) and then set a deadline of 45 days after which the winner will be selected. As people spread the message, they also increase their chances of winning. The result he got is terrific. After 45 days, he had 600 people on his email list. He sent them all an offer of a nice red wine from his winemaker. Two days later, he sold a full pallet of 600 bottles without having any wine. #7. He collected the money and paid his winemaker. He then used the profit to rent a simple storage facility and cover some other expenses. He got the bottles of wine after two weeks from his winemaker and most of his customers picked up their order themselves. Only one out of them had requested for home delivery. He is in full business and 17 months after, he had imported wines from 23 different wineries in Denmark. For Joachim, business is moving forward. #1. Don’t wait for the perfect idea. Ideas are worthless on their own without execution. Stop waiting for the perfect idea. Just start with any of your ideas and validate it. #2. Your ideas are not unique to you only. No one cares if your idea is unique or not. People only care about how creative you are at meeting their needs. #3. Don’t be afraid of competition. Be creative and your customers will pay for your products or services when you are able to solve their problem. #4. You don’t have need to break the bank to start your business. #5. You should start small and grow big. By the way, do you need help creating content that resonates with your audience, increase your blogs visibility online, or grow your email list? I can help with that. Click here to get started. Great advice for people looking to start a business. They often get blocked by their fears but you’ve outlined a simple way to jump in. I agree, it’s good to start small. Thanks for stopping by Tamuria. How I wish they knew this too. Nice write up. Pray it works for me. Sure it will bro. Just follow through with the process and believe in yourself.